When the Spaniards arrived in South America, bringing with them the light Mediterranean breeds, they found that the indigenous Indians had domestic fowls which soon crossbred with the incomers. Notable for their fierce resistance to the Spaniards however, were the Indians of the Arauca province of northern Chile who were never conquered. 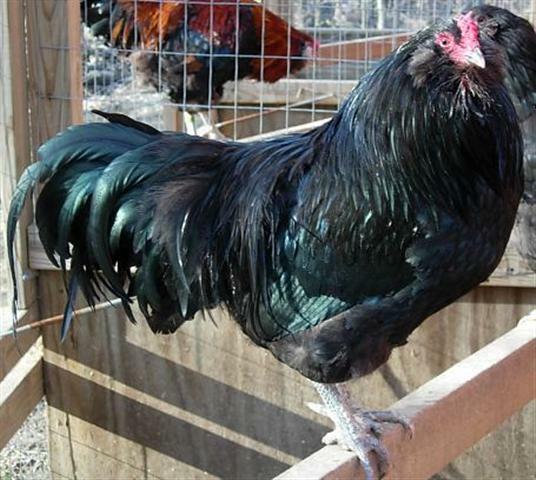 The name Araucana for the breed is derived therefore from that part of the world where the South American and European fowls had the least opportunity to interbreed. The Araucana breed standard in the British Isles is generally as envisaged by George Malcolm who created the true-breeding lavender Araucana, amongst other colours, in Scotland during the 1930s. Araucanas are layers of strong-shelled eggs, blue or green eggs having been reported from South America from the mid-sixteenth century onwards. These are unique in that their colour permeates throughout the shell. The tufted gene is a lethal gene, meaning that if a chick receives two copies of the gene, it will die in the shell before hatching. Therefore, it is impossible to hatch only tufted Araucanas, since any living bird has only one copy of the gene. If you mate tufted to tufted, you will get 1/2 tufted, 1/4 clean faced, and 1/4 embryos dead in the shell. If you mate tufted to clean-faced, you will get 1/2 tufted and 1/2 clean-faced, but more living birds. Bottom line: if half of your hatchlings are tufted, consider yourself very lucky. 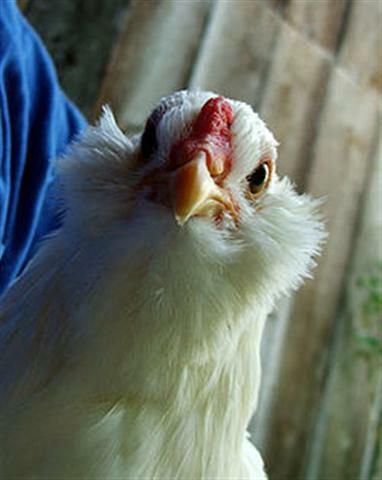 When the Araucana was first introduced to breeders worldwide in the mid-20th century, the genetics that produced tufts were recognized to also cause chick mortality.Two copies of the gene cause nearly 100% mortality shortly before hatching. The tufted gene is dominant, however. Because no living Araucana possesses two copies of the tufted gene, breeding any two tufted birds leads to half of the resulting brood being tufted with one copy of the gene, a quarter being clean-faced with no copy of the gene, and a quarter of the brood dead in the shell, having received two copies of the gene.In the decades to follow, most breeders took one of two tacks: either to preserve the old style of bird, or to breed out the tufts while increasing productivity. Because the tufted gene is lethal, as described above, it is good to have non-tufted birds in the breeding pen. If only tufted birds are bred, quite a few chickens will die in the shell before they hatch. If tufted birds are bred with non-tufted birds, more eggs will hatch and with a bigger hatch of tufted offspring. The gene for tufts has “variable penetrance” meaning that the type and degree of tuftedness in tufted birds will vary greatly. Some will have one tuft, some will have two, some will have even tufts and some will have unbalanced tufts. But every tufted bird, no matter how their tufts look, carries the tufted gene. A one-tufted bird may produce plenty of two-tufted offspring, and vice versa. In 1976, the first standards for the breed were accepted by the APA, conforming to the traditional style.This was followed, in 1984, by a second standard for the “improved” variety. The gene for blue eggs is dominant, so the term “Easter Egger” is used to describe birds of mixed breeding that produce such eggs. Unfortunately, these mixed breeds are often incorrectly labelled as Araucanas or Ameraucanas, and marketed to backyard poultry hobbyists who are not aware of the difference.